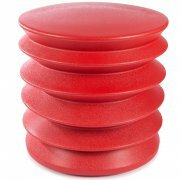 ErgoErgo Active Seating Stools will revolutionize your sitting experience. 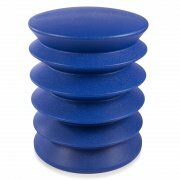 Their funky modern design supports proper posture and encourages constant micro-movements. These actions strengthen the core muscles and increase focus throughout the day. 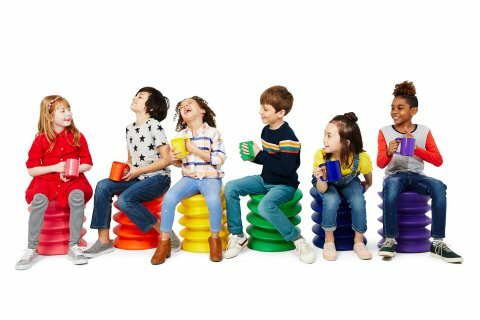 Rather than sitting passively and painfully in a traditional chair, this active seating lets you keep the blood flowing healthily, while seated at your desk, in a classroom, or in a lounge area. This versatile seating adapts to suit the user. When you sit on the chair, it compresses slightly to the height of standard seating, so you can use it with any standard-size work surface. 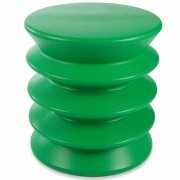 Made from recyclable UV-stable technopolymer, this active seating can be used both indoors and outdoors. The compact design will fit right into any area, even your smallest spaces.